News and updates of the Sarasota and Bradenton area country club real estate market. Check back often to get information about all your Sarasota area real estate news. 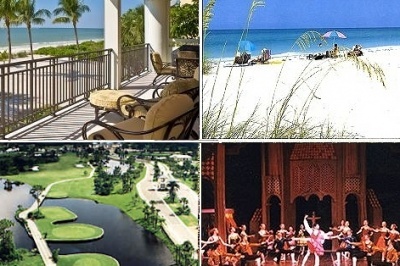 Found 12 blog entries about Sarasota Florida Country Club Living. Monday, January 26th, 2015 at 2:38pm. Lakewood Ranch on the edge of Sarasota on the Manatee County line is an award-winning master-planned community covering over 17,500 acres consisting now of 10 "villages," each with its own amenities and features. Wednesday, June 4th, 2014 at 7:50am. Sarasota County saw the 2nd highest level of sales in its history in April 2014, a total of 1,195 closed transactions. That figure was topped only once by the 1,223 sales reported in April 2004, just preceding the real estate boom that saw rapid price escalation. 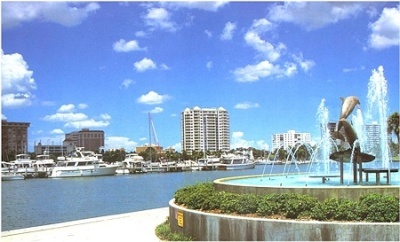 Sarasota again named "The #1 Best Place to Retire"
Thursday, May 10th, 2012 at 10:39am. Once again, Sarasota, Florida has earned top honors by being named the “Best Place to Retire in the Country”. This time the honor was given by the TopRetirements.com website. John Brady, founder of that website pointed out that “the best retirement cities and towns in America have good weather, access to healthcare, low property taxes, and a certain “wow” factor. 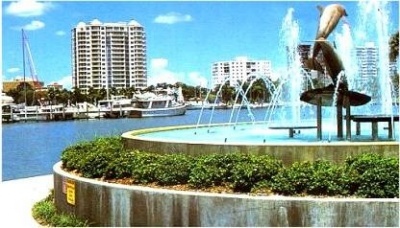 Sarasota has all of those qualities and more. Wednesday, August 17th, 2011 at 12:20pm. Here's an interesting statistic, I found recently. There are 78 million baby boomers in the U.S., and demographic professionals predict that one-sixth of them will spend part of their lives in Florida. That's almost 13 million new residents in Florida by 2023. 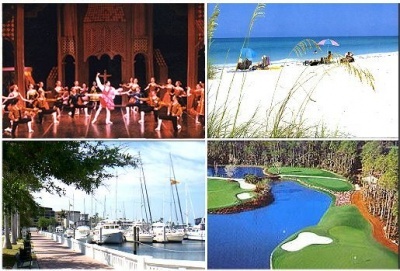 Those future residents will be looking for the most attractive places in Florida to live. The Sarasota - Manatee County area will be high on their list of "most attractive places". Sarasota area homes inventory reaches lowest level in 10 years!! Tuesday, July 12th, 2011 at 11:15am. I've heard it time and again this year from buyers I've worked with. “…we’ve been watching the market for a couple of years, afraid to jump in. This year, we saw that there was less available to choose from. We realized if we wanted to get a Sarasota area home we should do it now, before we can’t find one”…. Here's the most recent update from the Sarasota Association of Realtors, published July 12. Tuesday, May 24th, 2011 at 3:46pm. Once again, Sarasota draws top kudos. For the second year in a row, AmericanStyle Magazine ranked Sarasota 5th on it's list of the Top 25 Small Cities for Art. Bradenton ranked 10th. It's no wonder - Sarasota’s rich arts scene rivals some of the biggest urban centers in the country. Home to dozens of performing arts venues, opera, theater, and ballet companies, there is never a shortage of visual and performing arts entertainment. Check out the Sarasota Arts Scene on my website to learn more about Sarasota's Arts.